"At first, I was freaking out," Duren said about watching his portfolio plunge 40 percent at one point. "The precipitous drop came as a shock." Dubbed by longtime crypto-investors as "the noobs"– online lingo for "newbies" – they are ordinary investors hopping onto the latest trend, often with little understanding of how cryptocurrencies work or why they exist. 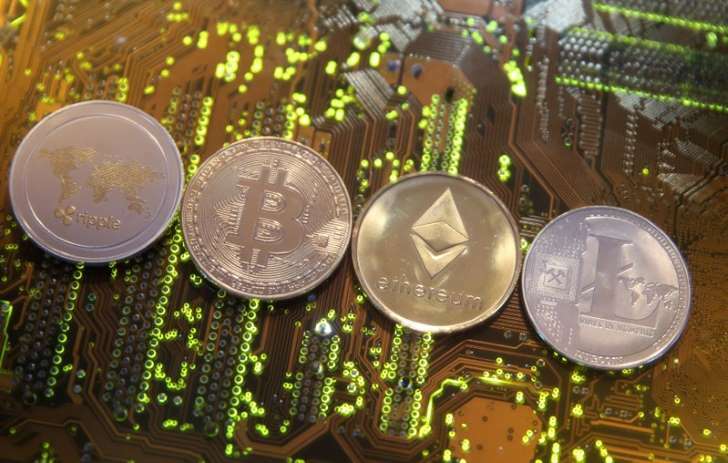 "There has been a big shift in the type of investors we have seen in crypto over the past year," said Angela Walch, a fellow at the UCL Centre for Blockchain Technologies. "It's shifted from a small group of techies to average Joes. I overhear conversations about cryptocurrencies everywhere, in coffee shops and airports." Exactly how many "noobs" bought into the craze last year is unclear because each transaction is pseudonymous, meaning it is linked to a unique digital address, and few exchanges collect or share detailed information about their users. "There was that two-month period last year where all the virtual currencies kept going and up and I had a couple of friends that had invested and they had made five-figure returns," said Michael Brown, a research analyst in New Jersey, who said he bought around $1,000 worth of ether in December. "I got swept by the media frenzy," he said. "You never hear stories of people losing money." Investors who got into bitcoin before its 2013 crash like to refer to themselves as "OGs," short for "original gangsters." They tend to shrug off the recent downturn, arguing that cryptocurrencies will be worth much more in the future. "As crashes go, this is one of the biggest," said Xavier Levenfiche, who first invested in cryptocurrencies in 2011. "But, in the grand scheme of things, it's a hiccup on the road to greatness." Spooked by the sudden fall but not willing to book a loss, many investors are embracing a mantra known as "HODL." The term stems from a misspelled post on an online forum during the cryptocurrency crash in 2013, when a user wrote he was "hodling" his bitcoin, instead of "holding." "I view it as having been a fun side investment similar to a gamble," said Gnitecki, a paramedic from Texas. "Clearly I lost some money on this particular gamble." Didi Taihuttu announced in October that he and his family had sold everything they owned — including their business, home, cars and toys — to move to a "digital nomad" camp in Thailand. In an interview, Taihuttu said he has no regrets. The crypto-day-trader's portfolio is in the black, and he predicts one bitcoin will be worth between $30,000 and $50,000 by year-end. His backup plan is to write a book and perhaps make a movie about his family's experience. "We are not it in it to become bitcoin millionaires," Taihuttu said.